From a 17 year old who creates his own designs to a professional who enhances her artwork with acrylic paint and food coloring there's no better way to learn intarsia than from someone else's experience. 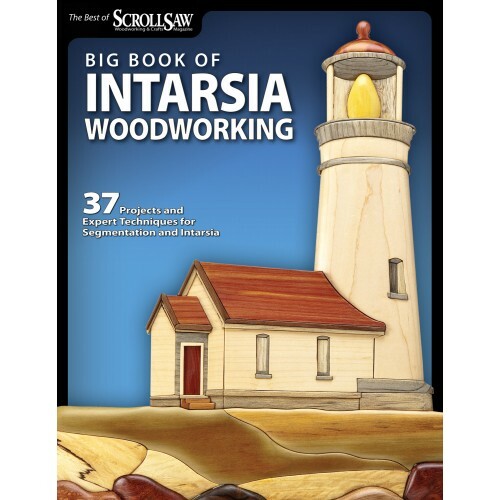 That is why we have collected 37 of the most popular intarsia projects from Scroll Saw Woodworking & Crafts and packed them into this one big collection. Whether you are a beginner or have been scrolling for years you'll be inspired by the unique designs and inspirational stories from renowned intarsia artists Kathy Wise Judy Gale Roberts Janette Square Frank Droege John Morgan and others. Plus you will find expert step by step instructions along with all of the crisp photos detailed patterns and tips and techniques you will need to guarantee intarsia making success.